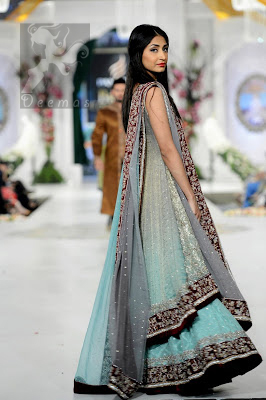 Tags: Back Trail, Front Open, Gown, Lehenga, Light Blue, Light Gray, Walima & Second Day. Front open gown features stunning embellishment all over the front. 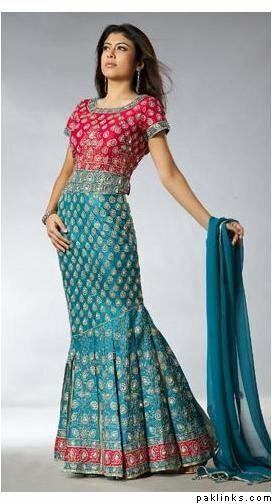 Applique work border implemented at the bottom of lehenga. 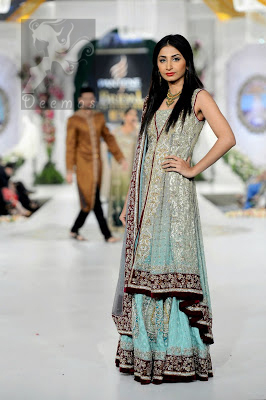 Light gray dupatta contains embroidered border on each edge of the dupatta.